SomosProfessores is a small non-profit organization based in Recife (State of Pernambuco, Brazil) founded by teachers with the mission of ensuring high-quality public education in Brazil. Since 2015, they promote innovative teaching practices in the local public school system by encouraging society to engage more actively with the work of dedicated teachers and help them develop their full potential with the support of their community. They accomplish this through their own crowdfunding platform for public school teachers. During their first three years, they have successfully carried out 35+ projects in 10 different cities across the state, reaching over 7.000 students. All this with a monthly budget of less than $2,000, thanks to a very passionate team and their own crowdfunding platform for public school teachers: www.somosprofessores.org. 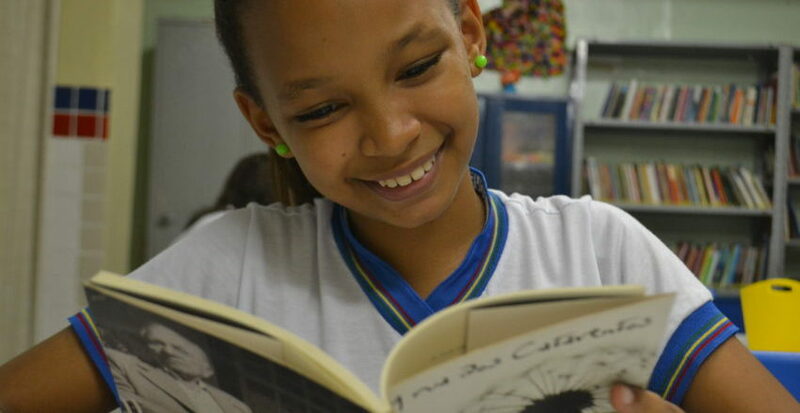 SomosProfessores’ purpose is to ensure equal access to high-quality education in Brazil, one project at a time. They work to provide every student with the tools and experiences they need to discover and fulfill their education. In 2018, they decided it was time to track and evaluate their impact more rigorously. So they looked at their results so far and dove into human centered design methods that helped them determine the best course of action for 2019. After a six-month long Research & Development phase (with a huge help from Cameron Milne, their first TIE placement), they are preparing to launch the Educational Projects Acceleration Program, where teachers can apply and be selected to join a year-long Program, with financial and technical support for their projects. Instead of simply ensuring access to materials, SomosProfessores want to follow the progress of each project and make sure they reach their goals. SomosProfessores was founded by nine people, none of which had any previous experience running a business, profit or non-profit. Most of them were teachers. They didn’t know much about communication or business strategy, but they’ve learned from their mistakes and managed to build a strong reputation of being agile, kind-hearted and trustworthy individuals that are determined to help teachers engage their students and transform thousands of lives. This TIE project will help them create an overarching communications strategy to help the organization reach its main stakeholders (e.g. funders, teachers and government), increase their community of supporters (from individuals to organizations) and communicate their impact effectively. Susan Min from VMLY&R is going on TIE in 2019 to help SomosProfessores with their work. You can read more about her here.